“It is a very sincere pleasure to share with you this article about our legal consultant and my longtime friend, Bruce Wagman. Bruce was the attorney that we pleaded with, almost a decade ago, to research for Terry and myself ways to stop the Bureau of Land Management (BLM) from zeroing out federally protected wild horse herds. With no organization to back us up and zero history to bolster our dedication to the cause Bruce took up our case and to this day was the silent partner and legal consultant behind our BLM Long Term Holding White Paper…and there is more to come. Thank you Bruce for all that you do for those who are recognized only as property and even if they could speak, would not be allowed to. You are the voice for millions. Rock On my brother!” ~ R.T.
Schiff Hardin partner Bruce Wagman has the best client list ever: birds, cats, chickens, chimpanzees, cows, deer, dogs, dolphins, ducks, elephants, elk, gorillas, horses, lions, mice, monkeys, pigs, sharks, turkeys, whales and wolves. Okay, technically they’re not his clients, because, well, animals can’t hire lawyers. 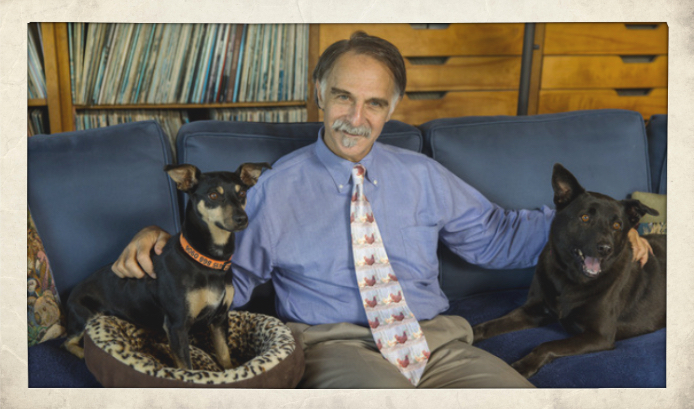 But Wagman, who plausibly asserts he is the only Big Law partner in the country focusing exclusively on animal law, has carved out a unique practice defending and improving the lives of animals. On Tuesday, he and Schiff Hardin partner Elizabeth Runyan Geise, along with co-counsel from the Humane Society of the United States, scored a big win when the U.S. Court of Appeals for the District of Columbia upheld a lower court decision protecting gray wolves in the western Great Lakes region, which includes Michigan, Minnesota, and Wisconsin. They challenged a U.S. Fish and Wildlife Service rule de-listing the wolves as a protected group under the Endangered Species Act. The panel—Judges Thomas Griffith, Patricia Millett and Nina Pillard—held that the agency failed to reasonably consider the impact of partial delisting on the remaining portion of the species, as well the impact of historical range loss. Their decision will save the wolves from trophy hunting and commercial trapping, including hound hunting, snares, baiting, electronic calls and the use of leg hold traps. Per the Endangered Species Act, the prevailing lawyers are entitled to an award of legal fees. Still, Wagman acknowledged one ongoing “tension” in his practice is getting paid. Because in addition to being unable to hire lawyers, animals don’t have any money. Among his big cases: defending a California law requiring humane treatment of animals too sick or injured to stand or walk; stopping commercial horse slaughter for human consumption; suing the federal government to stop untested surgical sterilization “research” on wild mares; upholding a ban on the possession or sale of shark fins in California; and negotiating the release of chimpanzees used for medical research. He also helped found two permanent sanctuaries for them. Some of Wagman’s work, especially the big-impact litigation, is pro bono, he said. Some is “low bono,” for reduced fees. And some is full-fee work for private clients, including dog bite cases and custody fights over pets. Under the law, pets are considered to be property—a discovery that people who call Wagman up wanting to sue for emotional distress after someone kills their dog find dismaying, he said. “It’s ripe for change, but change is slow,” he said. Still, he sees subtle signs that more judges are taking into account what’s best for the pet in custody fights, looking beyond indicia of ownership. Who walks the dog? Who has a yard? “It’s happening without anyone realizing it’s happening,” he said. A VERY good man! Hopefully there will be more like him soon – the animals need them. In this world today, what you are doing is special and I give you a thousand ‘thank you’s’ for your caring and compassion. Peace. And this agency is the main reason why our wild horses & burros have no natural predators to speak of! Jane, thank you for sharing this. I just watched…horrible, and probably just the tip of the iceberg, the same as with the BLM! Thank you, Mr. Wagman. Your actions and dedication prove you have a a big heart. The simple words, “thank you” just don’t seem to be enough for all you do and this also goes out to everyone who work so hard to make things better in our world. Thank you. I was thinking the same thing Grandma Gregg. How do you say THANK YOU enough to those who have given so much.